Apophia’s father died of cancer. Her mother is peasant farmer. She has 6 other sisters. Apophia has hard memories of poverty – not having enough money to pay for medical, school fees or even buying clothes. She remembers walking long distances to school and misses the love of her father. She has worked before as a housegirl and at a market. Her sister, who works at New Hope Ministries, told her about AHI. She is eager to learn new skills and one day be able to pay for her younger sister school fees. Esther’s parents are peasant farmers. She has 3 brothers and 4 sisters. Her father left her family for his other wives; placing her mom and siblings in extreme poverty, lacking school fee and common supplies for food and soap. 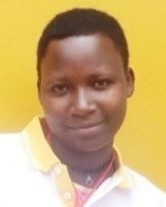 Esther loves her mum and prays that after she completes her vocational training at AHI she will be able to secure employment that can help her family. Evelyne’s parents were killed in a car accident when she was 3 years old. She has 1 brother and 2 sisters. She grew up with her aunt, a peasant farmer. Her aunt’s husband died when she was in Primary 3. Her aunt struggled to provide school fees and basic supplies. 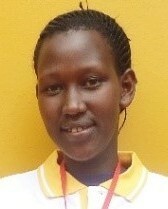 Evelyne says she is a hardworking and disciplined girl. 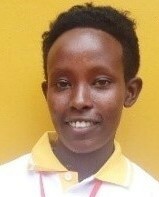 She is grateful to her sponsor for allowing her to live well at AHI. She hopes to use her skills to secure employment and to help her aunt in the future. Faith has only lived with her mother and 8 other siblings. AHI is her first contact with Americans and Western culture. Because of the extreme poverty she has lived in, there were never enough school fees to move beyond primary school. 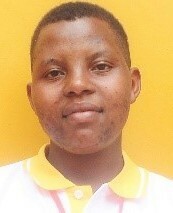 Faith wants to thank her sponsors for providing this opportunity at AHI. She hopes to transform her life and help change her family as well. Gerald is the oldest of 7 children. His parents are both alive; he lives with his father. There have not been many opportunities for Gerald. He has been digging and burning charcoal to survive. He made some poor choices in friends and did many foolish things. Gerald feels that AHI is God’s way of showing forgiveness and offering Gerald a second chance to a have a fruitful life. He speaks 4 languages. 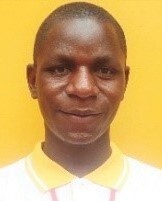 Gerald wants his sponsor to know that he is willing to do whatever is needed for him to transform his life. 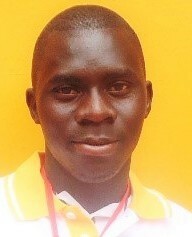 Habiibu is the middle child of a family of 6 brothers and 1 sister. Both of his parents are alive and farm in a nearby village. Several of his brothers have died or been killed in accidents. School fees were not available after leaving primary school. He works hard but hasn’t found any job opportunities beside burning charcoal. His acceptance into AHI feels like a second chance – he was beginning to give up hope that he could ever change his life and the harsh poverty he has lived in. He is so thankful to be an AHI student. Joel has lived with his mother and 2 siblings. His father left for another family of 10 siblings. Joel is the oldest. His memories are painful due to the extreme poverty. He especially remembers the famine when he was 9 years old and remains sad that his father left. He has worked hard making bricks and burning charcoal. He dreams of becoming a professional man that can care for himself and his family. His uncle is the Headmaster of Cornerstone Leadership Academy and found him during holidays making bricks and began sharing about AHI. Joel was excited and felt he finally had some hope for a better future. Joshua’s father died, forcing his family of 4 into extreme poverty as his mother is a peasant farmer. He is close to God and has been involved with Scripture Union ministries. He is excited to learn more and develop his spirituality. He heard about AHI through a Cornerstone Leadership Academy student. 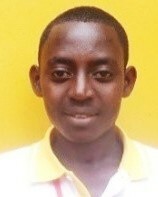 Joshua had completed his education but had no skills to find employment. He has been farming to survive. 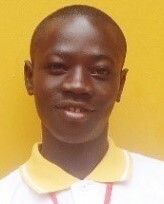 Gerald would tell his sponsor that he will try to be a role model to other students and is committed to transforming his life and achieve his dreams. Ruth’s father died. She has lived with her mum, 3 brothers and 6 sisters. She is the youngest. Her brother works at Cornerstone Ranch and has been caring for her. 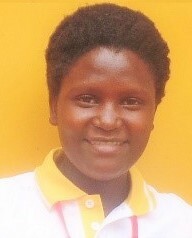 Ruth remembers walking long distances to school and a lack of school fees that made her miss school. She trusts God and dreams of helping her family move out of poverty. Sharon is a shy and quiet young girl. Her father died of AIDS. She has a brother and 3 sisters. Her mother works in the marketplace. She has never worked with Westerners before and is a bit overwhelmed by all that AHI does. She is well behaved and proud of that. Sharon really wants to help change her family and improve their living.